Produktinformationen "Kaged Muscle Clean Burn 180 Tabletten"
While most weight-loss formulas only address some of the typical person’s weight management issues, Clean Burn™ attacks the problem from ALL angles! Fat burning is a complex, multiple-pathway process. An effective fat burner approaches this process along multiple metabolic pathways as KAGED MUSCLE™ has done with Clean Burn™. * It takes the right combination of ingredients to burn fat without making you edgy. Clean Burn™ delivers it in a special blend. THAT EXTRA BODY FAT AND DO IT! 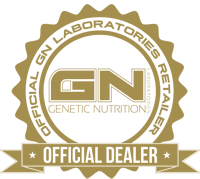 Follow my 4WEEKS2SHRED Video Series and add Clean Burn™ to your fat loss supplement stack and you will see for yourself. Clean Burn™ was one of the SECRET WEAPONS that helped me get shredded in my 4WEEKS2SHRED Video Trainer. 5. Borchardt RT, Huber JA. Catechol O-methyltransferase. 5. Structure-activity relationships for inhibition by flavonoids. J Med Chem. 1975 Jan;18(1):120-2. 6. Kao YH, Hiipakka RA, Liao S. Modulation of endocrine systems and food intake by green tea epigallocatechin gallate. Endocrinology. 2000 Mar;141(3):980-7. 7. Kao YH, Hiipakka RA, Liao S. Modulation of obesity by a green tea catechin. Am J Clin Nutr. 2000 Nov;72(5):1232-4. 8. Watanabe J, Kawabata J, Niki R. Isolation and identification of acetyl-CoA carboxylase inhibitors from green tea (Camellia sinensis). Biosci Biotechnol Biochem. 1998 Mar;62(3):532-4. 9. Tian WX, Li LC, Wu XD, Chen CC. Weight reduction by Chinese medicinal herbs may be related to inhibition of fatty acid synthase. Life Sci. 2004 Mar 26;74(19):2389-99. 10. Dulloo AG, Duret C, Rohrer D, Girardier L, Mensi N, Fathi M, Chantre P, Vandermander J. Efficacy of a green tea extract rich in catechin polyphenols and caffeine in increasing 24-h energy expenditure and fat oxidation in humans. Am J Clin Nutr 1999;70:1040-5. 11. Dulloo AG, Seydoux J, Girardier L, Chantre P, Vandermander J. Green tea and thermogenesis: interactions between catechin-polyphenols, caffeine, and sympathetic activity. Int J Obes Relat Metab Disord 2000 Feb;24(2):252-8. 12. Nagao T, Komine Y, Soga S, Meguro S, Hase T, Tanaka Y, Tokimitsu I. Ingestion of a tea rich in catechins leads to a reduction in body fat and malondialdehyde-modified LDL in men. Am J Clin Nutr 2005;81(1):122-9. 13. Grant KE, Chandler RM, Castle AL, Ivy JL. Chromium and exercise training: effect on obese women. Med Sci Sports Exerc. 1997;29:992-998. 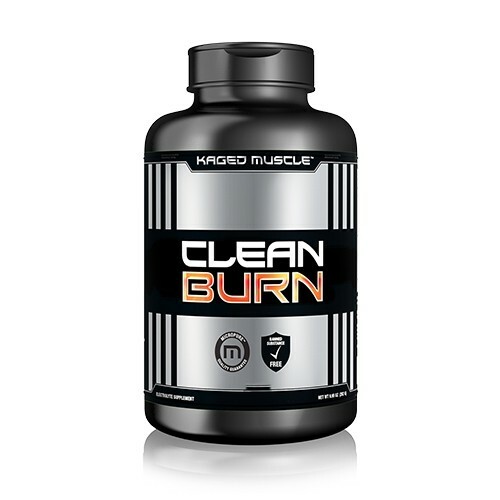 Weiterführende Links zu "Kaged Muscle Clean Burn 180 Tabletten"
Kundenbewertungen für "Kaged Muscle Clean Burn 180 Tabletten"